Budget 2019 – Under New Income Tax Slabs and Rates, people with earning upto ₹5 lakh per annum , need not to pay any tax. However, Income Tax Slabs remain unchanged. Announcing the Union Budget 2019, Fin Minister Piyush Goyal proposed full tax rebate for individual tax payers earning up to ₹ 5 Lakh. Individuals with a gross income of ₹ 6.5 lakh may need not to pay any tax if they make an investment up to ₹1.5 Lakh in provident fund or other prescribed equities under Section 80C. This will provide tax saving upto ₹12,500/- for all taxpayers in this slab. Standard deduction limit also increased from ₹40,000/- to ₹50,000/-. 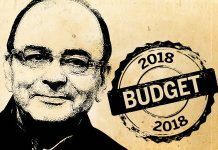 In Budget 2018, Jaitely introduced a standard deduction of ₹40,000/- for salaried class. 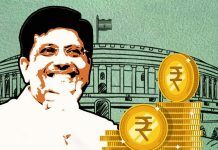 Goyal also announced that no tax will be levied on interest income upto ₹40,000/- from post office, banks. 10% – Where total Income is more than 50 lakh and less than 1 crore. *Tax rate is 25 percent if gross receipts of the domestic entity/companies for previous year does not exceed ₹ 250 crore. The above tax rates for corporate are exclusive of surcharge and cess. People with annual income up to ₹ 5 Lakh get full tax rebate. Individuals with income up to ₹ 6.5 lakh need not to pay any tax if they make investments in approved instrument sunder section 80C. More than ₹ 23,000 crore tax relief to 3 crore middle class taxpayers. No TDS on interest income up to ₹40,000/- from post office, banks. Gratuity ceiling increased from ₹ 10 lakh to ₹ 20 lakh. Capital Gains Exemption under Section 54 to be available on two house properties. Tax Exempted on notional rent on a second self occupied house. It must be noted that Tax Exemption up to ₹ 5 Lakh is in the form of Tax rebate under section 87A. Tax liability still arises if taxable income exceeds ₹ 5 Lakh after deducting available deductions. We will discuss it in details in our next article. Factoring – What are different types of Factoring Arrangements ?